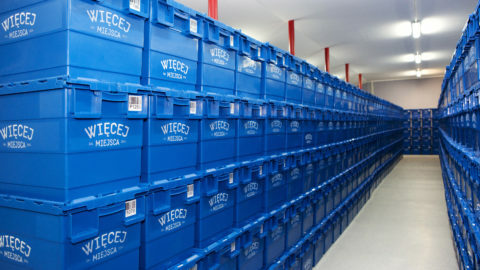 Więcej Miejsca is a modern storage room for items and furniture. We will help you regain space without any effort and leave your home or office. And you will pay less for it than in the largest self storage warehouses in Warsaw. We come to you, pack up things, disassemble furniture, secure, we end up, transport to our warehouse and return it upon request. Store as much as you want and for as long as you like. From several containers or cartons to the contents of the entire apartment. Check in online catalog, what and in what quantities you store with us. Something is needed? Just a few clicks and we'll give you back. The convenience of packaging and great safety for your things. Store clothes, seasonal items, books and plates, kitchen utensils, hobby accessories, toys. Thanks to the containers, you will save time and increase the comfort of packaging. They are also super safe - resistant to mechanical damage and contact with water. You can fit, for example, 250 CDs or 120 children's clothes or 90 medium-sized books. Thanks to wardrobe box, you will not have to iron your belongings after the storage period. You can fit in one of them 10 jackets or 30 shirts. 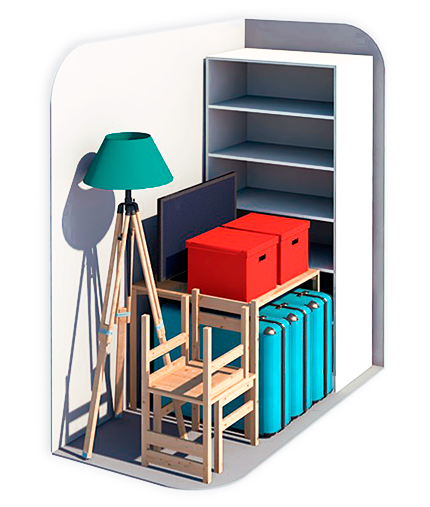 Store furniture from the apartment or office, home appliances, electronics, cardboard boxes, sports equipment, bicycles, marketing materials of your company, suitcases or prams. You can rent from 1-20m2 or even larger. If the space you occupy in a given month decreases, in the next you will pay less for storing things and furniture. We know that each item we are supposed to store is important for someone. It is important for us that all those who order our services should be confident that their property is in good hands. "More Space is a great solution for small offices. The management system of storage stuff is simple and clear. The delivery and pick up of materials is on time, even in tight corner situations, when it turns out, that you need your stuff back “just right now”. Highly recommended." 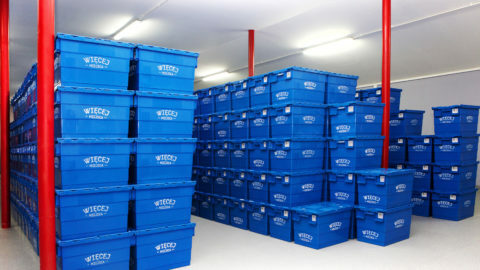 "Superb offer: a. storage came to me, I didn’t have to go anywhere, b. I rented exactly as much space as I needed at the moment – not too much and not too little to cram things, c. the owner was flexible with the time of bins delivery and collection. 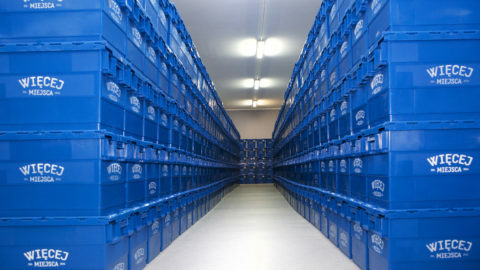 Sealing system, collection procedure, virtual storage and the owner himself are trustworthy. Recommended!" 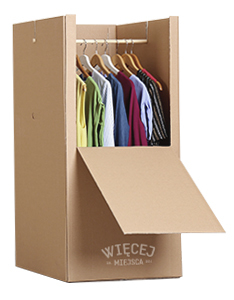 Więcej Miejsca is more than a traditional storage of things and furniture. Our clients are convinced that a sufficient space for living or working in Warsaw does not have to be only for the chosen ones, but it is at your fingertips. 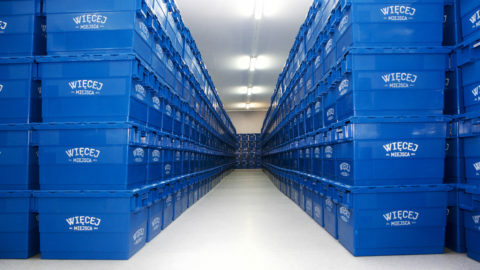 From the very beginning, we wanted our storage service to be easy, affordable, safe and convenient. That is why hard work is on our side. That's why we offer an online catalog that allows you to manage your stored property with your computer or telephone. It does not matter if you plan to renovate a flat, you get a bigger family, move or you lack space for seasonal or office stuff. 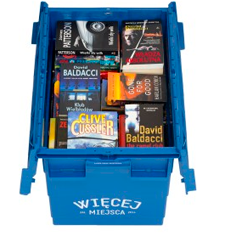 Więcej Miejsca is to make life easier for you.